Short, thick woolly fur covers the entire body and ranges in color from brownish gray to reddish brown. Large eyes are framed by dark fur, with a light colored striped running down the nose from the forehead. A tail is no longer evident. The Pygmy Slow Loris is a solitary forager, emerging from crevices, hollows and tree branches at night to hunt insects. Despite being slow, Lorises are excellent hunters, able to eat the toxic insects found in the rainforest because they are immune to the poisons. Although unable to run or jump away from predators, this tiny mammal is far from defenseless. If threatened by a predator, the Pygmy Slow Loris imitates an angry cobra by hissing, whistling and moving in the deliberate manner of a serpent. If the threat continues, they will bite, and the bite is actually toxic – glands on the inside of the elbow secrete the toxin. Before biting, the animal will raise its arms up and place it’s hands on the head, thus making the toxin glands easily accessible. It licks up the toxin and then bites – its teeth are specially shaped to help deliver the poison into the bite. The Pygmy Slow Loris is considered the most endangered of the non-lemur prosimians. 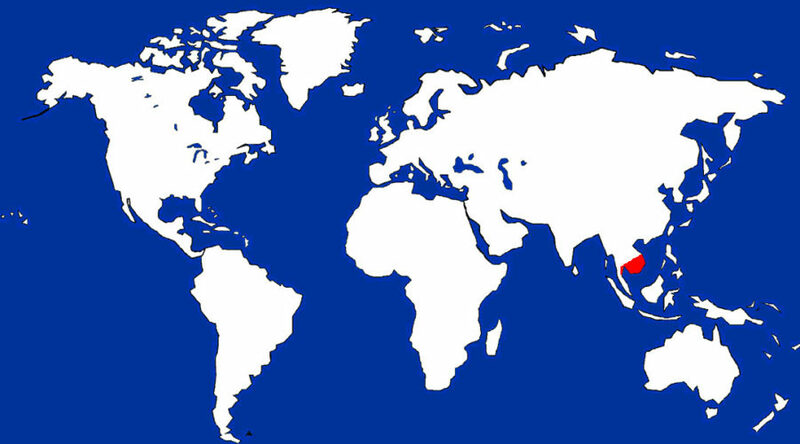 Years of war and strife in its native lands of Vietnam, Laos and Cambodia have decimated the populations. Additionally, many Lorises are captured and sold as pets or used in traditional medicines. Mating and Reproduction: Unlike other Lorises, Pygmy Slow Lorises have a definite breeding of July through September. The unusually long gestation period produces well-developed infants capable of holding onto branches within 24 hours of birth. 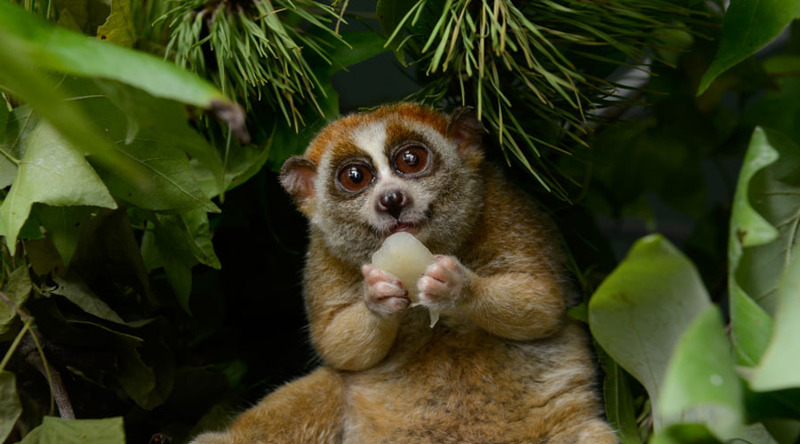 Amazing Information: Pygmy Slow Lorises have specially adapted blood vessels in their hands and feet that allow them to hold on tightly to branches for many hours at time – even while they are asleep.